It is too early to tell what sort of reaction Ugandans have about the switch over. Also, the rest of the country still remains on Analogue, and will be phased into the migration on 31 of July and August 2015. 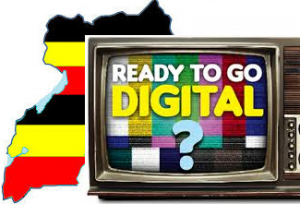 As of January 2015, the following areas have access to the Over-the-Air digital TV signal: Kampala, Entebbe, Bombo, and Mityana. Basically only a small part of central Uganda is covered. Also DVB-T tuner tests indicate that depending on your location, you may still not be able to access the DTV signal which is being transmitted from Kololo. In some areas for example East of Naalya an outdoor Antenna may be required.